Hey Elmo - That beef sirloin does look really good. You are so sweet ! It was VERY nice meeting you and having you as a dinner companion. Would be very happily willing to do so again anytime in the future. 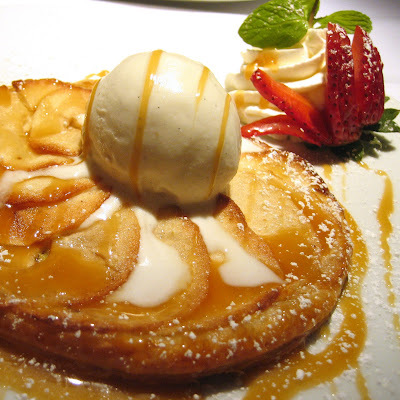 And the apple tart WAS outstanding :) Your picture does it justice ! (p.s. Was at Marche Moderne this week in Costa Mesa for lunch on Friday and dinner tonight - both times the place was packed full. Beautiful presentations! The charcuterie plate has many things I haven't even tried before. Very interesting! It is nice of them to not put too many fillers, like mashed potatoes, on their main entree. And I didn't even need to Photoshop that pic either. Likewise. 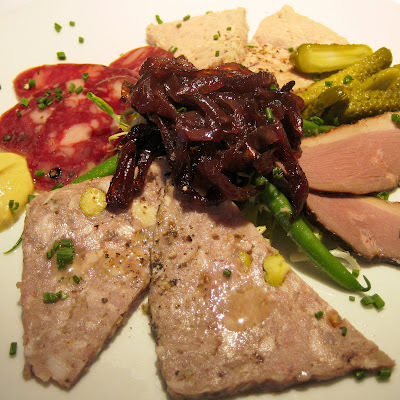 I think Marche Moderne is still spectacular, especially with their $20 Spontanee lunch. That one's very very hard to beat. If you do end up going, I bet you that you'll also be the only one in the restaurant. The place is really suffering from a lack of business. Oh man, third grade flashbacks! Wouldn't surprise me if it is because of the recession. Back in December, we went to a high end Brazilian steakhouse for Dave's birthday, and there was maybe one other party there besides us. I think these kind of places suffer a lot now. 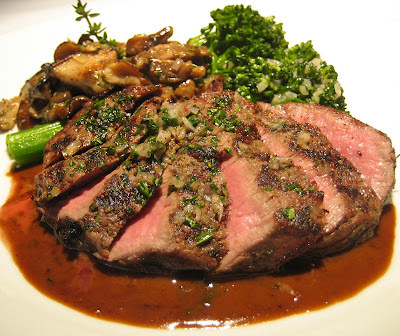 But a good meal at an upscale place is a nice occasional treat. Sounds like you had a good experience. before, but maybe it is time. I went for Valentine's day this year and the place was consistently packed throughout the night. We had the 5-course meal with wine pairing ($145 pp). The food was good, but not great. Wish we had gone to try the 3-course meal for $40 instead of spending a ton of money. Sad to say but, we'd rather go back to Patina or Marche Modern. Glad you had a nice meal! One good thing about the recession, it's easy to find good deals on food nowadays. I just found out that Hamamori (that restaurant I reviewed last week) dropped the price of the meal I had by $3! I'm sure Tradition is far from faltering, but then the same thing was said of a lot of things, like Bear Stearns, et al. And that dining room was pretty damned empty! 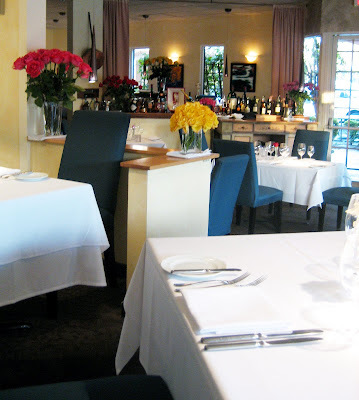 I love Marche Moderne (I have always considered it the best French in the County). Still, this meal was impressive -- old school French...not to mention reasonably priced. But $145 pp?! Yikes! Steep! Valentine's is like Christmas for places like this, eh? The crunchy bits kinda threw me off at first...but then it grows on ya! Like an ugly puppy who grows up to be very loyal and obedient friend. Hmm, maybe analogizing the mystery meat to domestic pets isn't the best thing to do...I'll stop now. When I went last year, it was also pretty empty. About 4 other tables there. Maybe it's just a lack of popularity with all the new french restaurants opening in OC. Yeah, I figure Marche Moderne gets all the biz these days. Deservedly so.